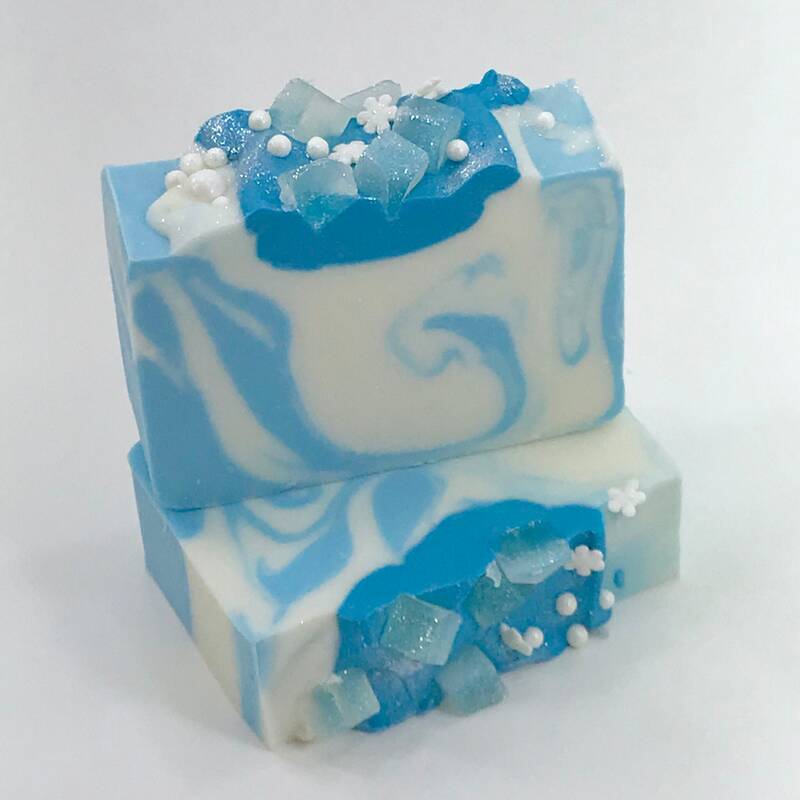 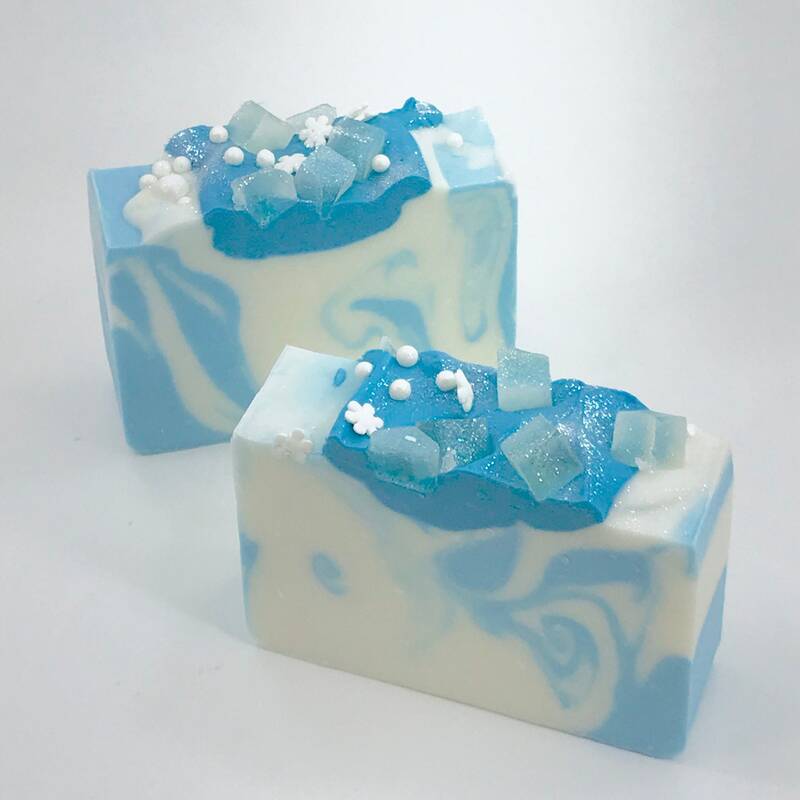 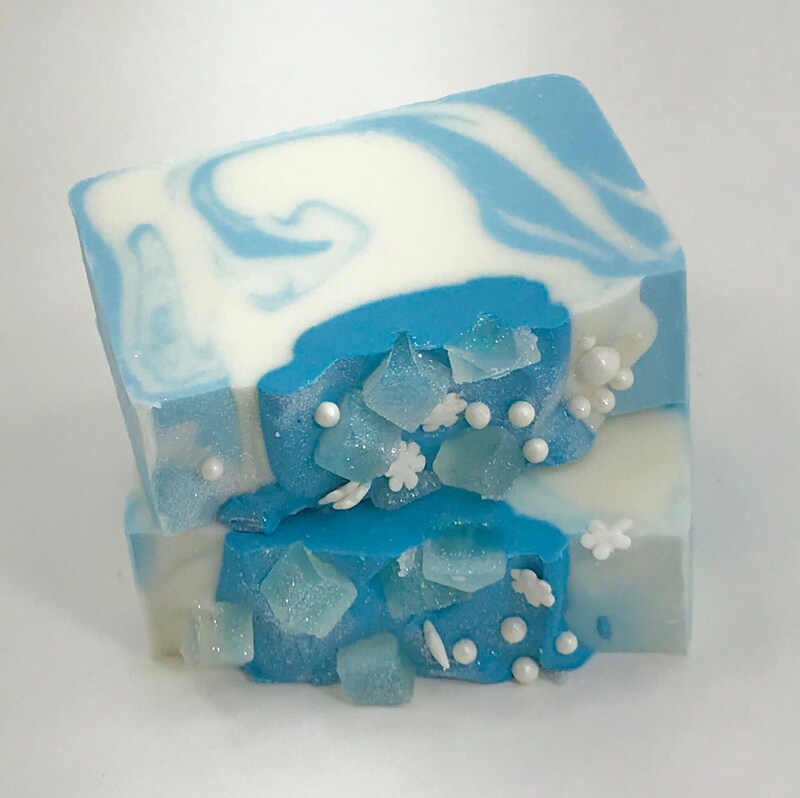 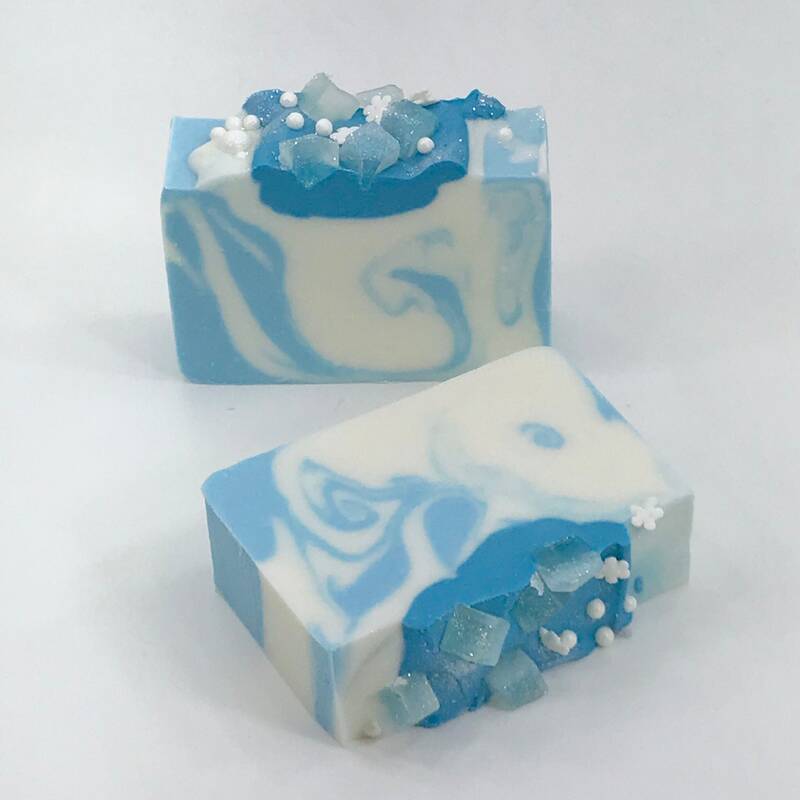 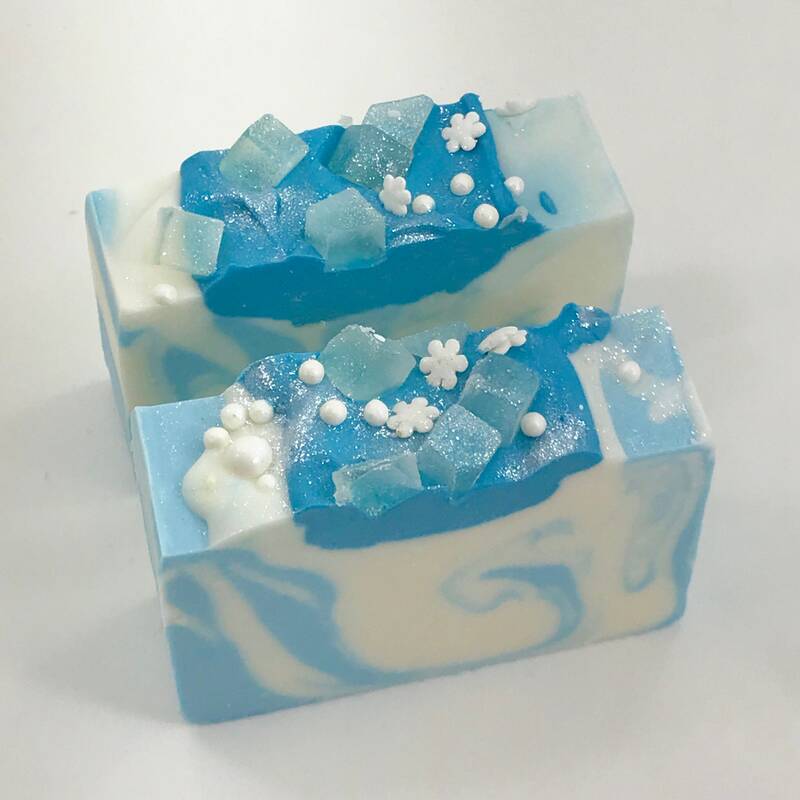 SNOW DAY is an icy winter themed bar with a winter blend of fragrances including spearmint, peppermint, eucalyptus & hint of lemon. 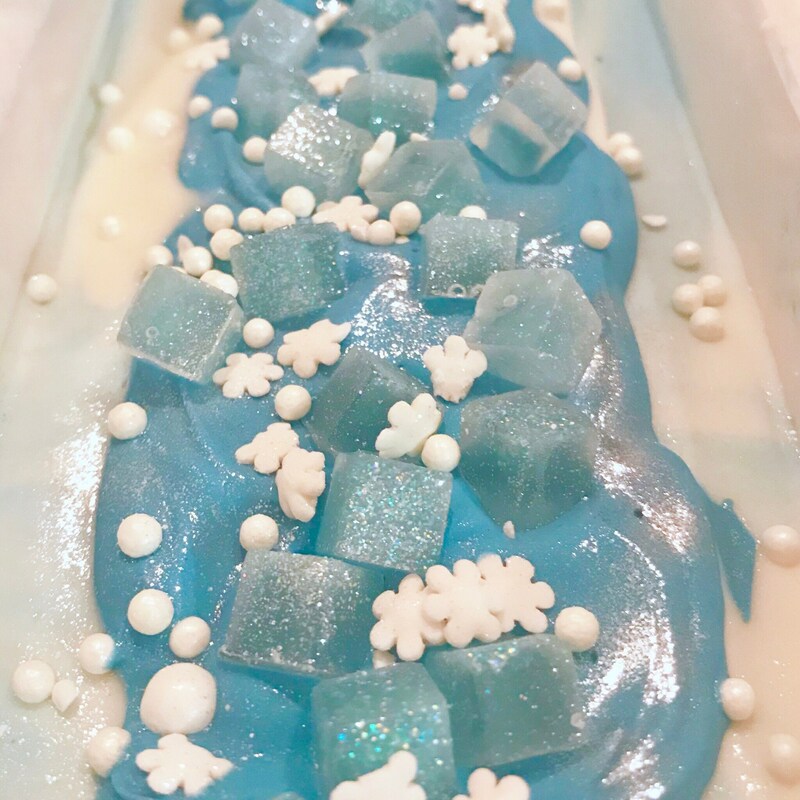 It’s loaded in snowflakes, snow & sparkly ice cubes. 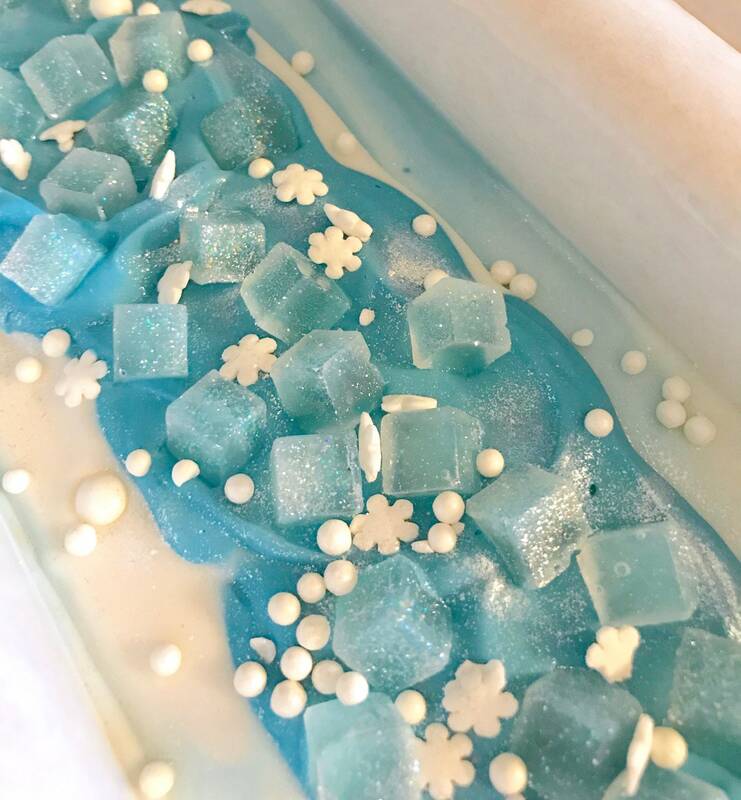 Sprinkles: sugar, cornstarch, rice flour, palm oil, gum acacia, xanthan gum, titanium dioxide, natural & artificial flavor, mono and di-glycerides, polysorbate 60.